I made this zip pouch for my friend's birthday to keep the sand and dust out of her Kindle. The little bear embroidery was in the Books Issue of &stitches. Here is a Blog Post from Wild Olive that shows some of the cute projects in Issue #2. The front, which was finished ages ago. I sneaked some Heather Ross dots in there too, though they are now known as canon balls. Why the ARRRRRRRRRRRGGGGGGGGGGGGGGG in the title? 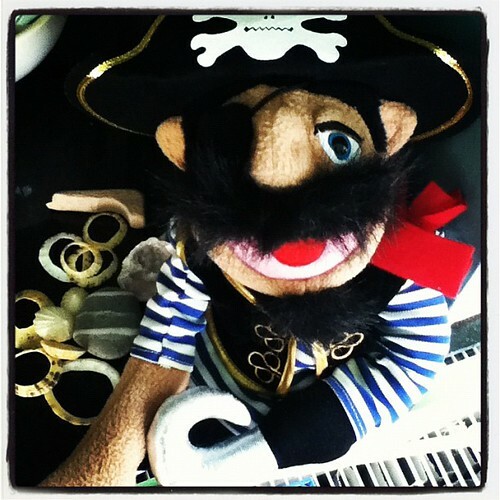 Well today is International Talk Like a Pirate day........so we are taking part...ooohhh arrrgghhh. 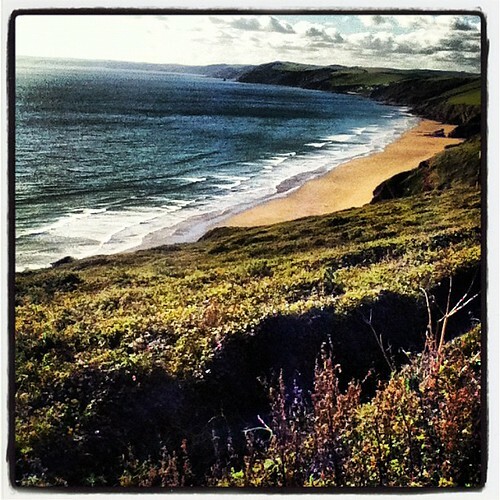 And just to finish off - a nice picture of the Cornish Coastline from yesterday! Yes, 'Talk like a Pirate day""Aye, aye me hearties! Jolly good quilt! Oh - the pirates are way cool! And I love your little kindle pouch, it's adorable. Sweet little pouch for the kindle! Love the embroidery! Best of luck with the quilting - I never know how to tackle that part of the process! Pirate quilt looking good front and back! Have fun getting then quilted and bound! 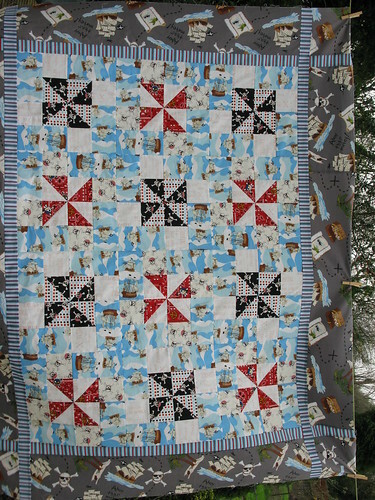 Arrrr that pirate quilt is fantastic too. 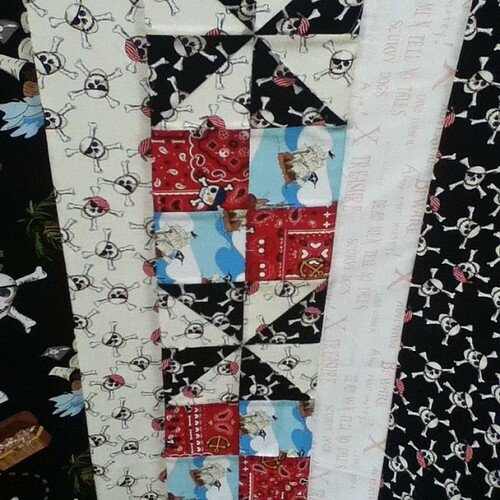 My daughter would love that Pirate quilt - her favourite shirt is a 'pirate' one, but is a nice pirate! I can't imagine that there will be a problem quilting it due to size of backing sometimes it just makes it tricky lining everything up for basting! good luck! Love the pirate quilt! I have that book, may have to add it to my to do list! 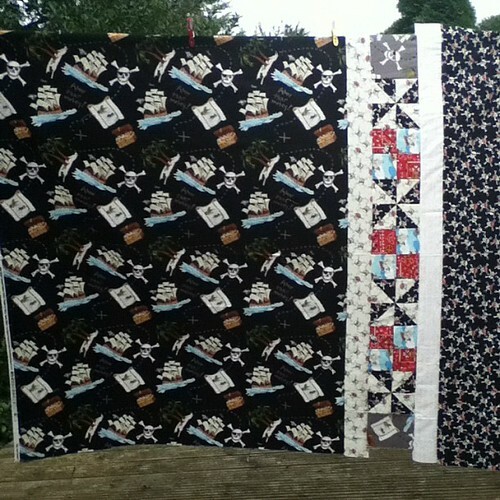 Love the stitching and that pirate quilt is fab! 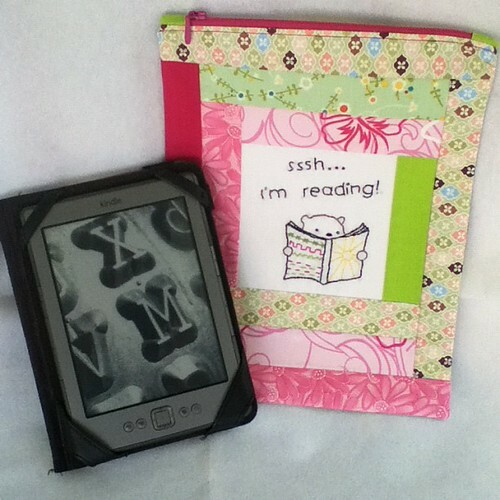 Your quilt looks really great and I love that kindle pouch! I'm back.......did you miss me?